From the Vaults of the “Mardukite Chamberlains” —The Original & Complete Underground Classic Returns! A newly developing “JOSHUA FREE” publishing-house imprint (representing the “Mardukite Truth Seeker Press”) launches this year commemorating the 10th Anniversary of the modern ‘Mardukite’ inception. And with what more appropriate title should it debut with? But a very special hardcover 10th Anniversary Collector’s Edition of the underground classic by Joshua Free—NECRONOMICON: THE ANUNNAKI BIBLE—on sale to the public for the first time on October 30, Samhain 2018! 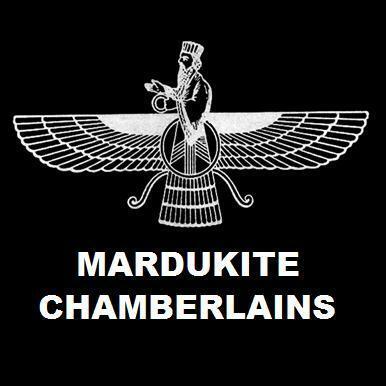 Evolving from a single popular underground Mardukite document—NECRONOMICON: THE ANUNNAKI BIBLE—by Joshua Free, is a masterpiece of Mesopotamian literature, spirituality and magic, providing a complete collection—a grand symphony of correlated materials—of the most ancient writings on the planet. The oldest of these records—Sumerian and Babylonian cuneiform tablets—reveal detailed accounts of cosmic history in the universe and on earth, the development of human history and descriptions of world order – all of which were used to maintain spiritual and physical control of humanity— proving to be the predecessor and foundation of all global scripture-based religious and mystical traditions thereafter. These raw underground materials have shaped humanity and all systems of belief, culture, tradition and science for thousands of years; right from the heart of the Ancient Near East: Sumer, Babylon and even Egypt! Order from your favorite book source! Retailers/Distributors may order from Ingram. Nearly a decade since the modern underground Mardukite inception—and thousands of copies in print—Joshua Free’s NECRONOMICON: THE ANUNNAKI BIBLE is a revolutionary “New Age” advancement in authentic historical, spiritual and mystical research drawn from a unique unparalleled combination of archaeological findings and esoteric mystical magical traditions. …and more. The heart and soul of humanity, from the cradle of civilization, is laid out clearly for the “Truth Seeker” to see—all in its pure and undefiled state in public view for the first time ever! REQUEST FROM YOUR FAVORITE BOOKSELLER! — Also available for pre-order online at: amazon :: B&N :: bam! :: &tc.